This book deals with quantitative efforts to predict human behavior. 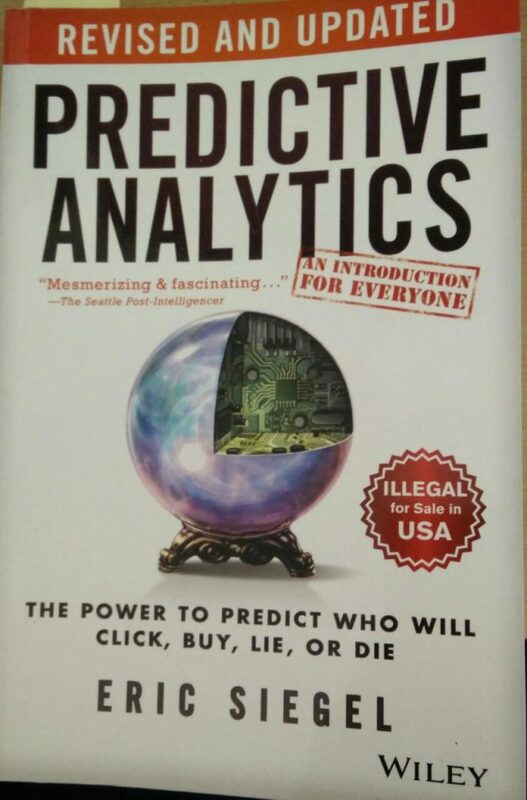 The book focuses on a large number of prediction efforts that are much more successful now than efforts some decade back. This is mainly due to faster computing resources and lots of data availability. During the past decade has been an explosion in computation and information technology. With it has come vast amounts of data in a variety of fields such as medicine, biology, finance, and marketing. As a result, banks, retailers, political campaigns, doctors and hospitals, and many more organizations have been quite successful of late at predicting the behaviors of particular humans. These efforts have been helpful at winning customers, elections, battle with disease etc. The book provides plenty of case studies from above fields. This is fun to read, a fascinating book as this is not very technical so suitable for all masses. Case studies are very good and give you great insight into predictive analytics. I highly recommend this book for aspiring Data Scientists/Managers/CEO’s or anyone interested in understanding the science of analystics. Overall good read. Very much recommeded. I personally liked the topics and case studies on risk and fraud detection very well written and visulized. I found sometimes the case-studies are over-simplified in actual I think they are not that simple while implementing. I found that one can pick a chapter and read, you don’t have to follow the order. Don’t expect that you will learn to do analytics, making a model just by reading this. 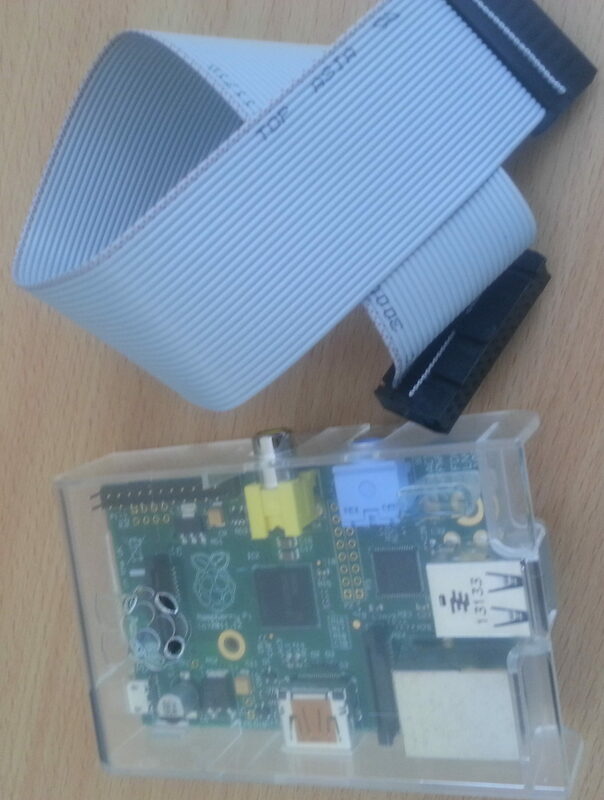 This book is mainly focussed for non-techies readers. If you are a techie focus more time on ML algorithms and use this book as a part-time bed time read. Since long I was thinking to write down my recommendation of the books I have read recently or in past as well. The plan is to post atleast one book recommendation weekly. Check below my first recommendation. During the past decade has been an explosion in computation and information technology. With it has come vast amounts of data in a variety of fields such as medicine, biology, finance, and marketing. The challenge of understanding these data has led to the development of new tools in the field of statistics and spawned new areas such as data mining, machine learning, and bioinformatics. Many of these tools have common underpinnings but are often expressed with different terminology. This book describes the important ideas in these areas in a common conceptual framework. While the approach is statistical, the emphasis is on concepts rather than mathematics. 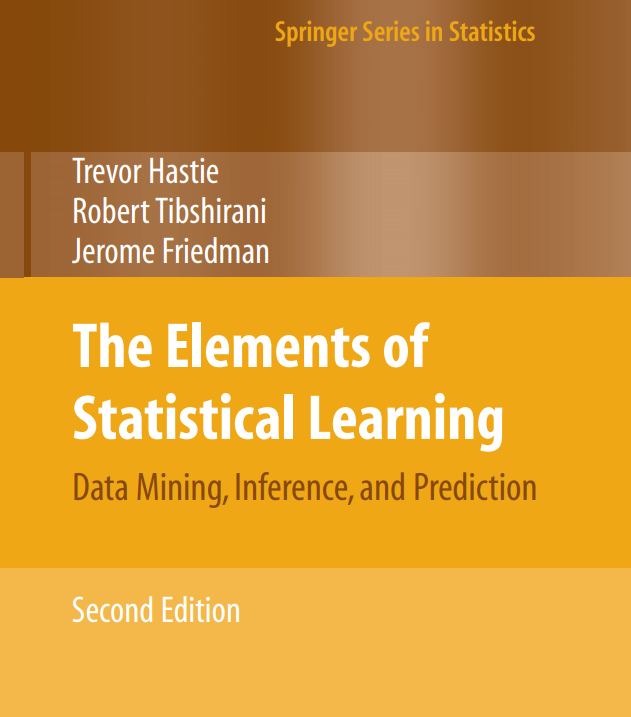 The book’s coverage is broad, from supervised learning (prediction) to unsupervised learning. The many topics include neural networks, support vector machines, classification trees and boosting–the first comprehensive treatment of this topic in any book. It is a rigorous and mathematically dense book on machine learning techniques. It gives a very good explanation of how the correlation between Bias, Variance and Model Complexity works. If you have the mathematical background (calculus, linear algebra etc) this is a very good introduction to Machine Learning and covers most of the MI topics. I can say that it has a nice balance between mathematical concepts and intuitive reasoning. I highly recommend this book for anyone entering to the field of AI/ML. What this book doesn’t provide? is a pragmatic approach or Hands-on practice. If you are doing self-study and don’t have any background in machine learning or statistics advice to refine your understanding of linear algebra and calculus before reading this book. Free PDF is available but suggest to buy a print book.